VietNamNet Bridge - The first Miss Vietnam pageant was held 28 years ago. Vietnam has had 14 Miss Vietnam winners. Let’s review the lives of the 14 beauty queens. Bui Bich Phuong in 1988 and 2012. Bui Bich Phuong, born in 1971 in Hanoi, was the first Miss Vietnam. 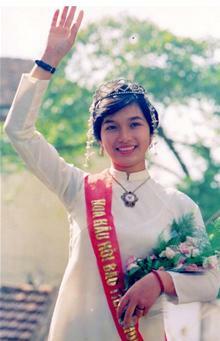 She won the crown in 1988, at the age of 17, when she was a first year English student at the University of Hanoi. 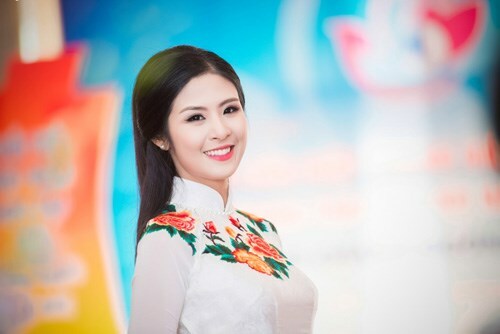 Phuong was one of the shorter contestants of Miss Vietnam – 1.57m. Phuong can speak fluent English, Korean and Vietnamese. She is also a successful business woman with an excellent MSc degree at the Seoul National University in South Korea. At present she has two children, one male and one female. She is currently working for a Korean MA education fund. At the age of over 40, Phuong is still very beautiful. Hoa, born in 1969 in Hanoi, was crowned the 2nd Miss Vietnam in 1990 when she was 21 years old, a Russian language student at the Hanoi University of Foreign Studies. She holds an MBA degree from the Asian Institute of Technology (AIT), Thailand. She can speak five foreign languages: English, Thai, Hindi, Russian, and French. 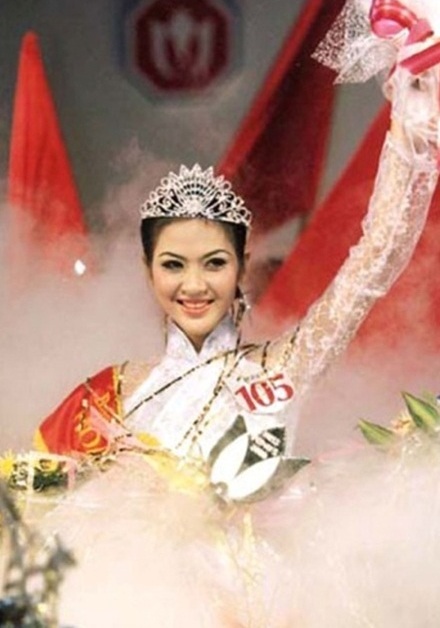 In 2006, she was named in the Vietnam Records Book as the beauty queen who can speak most foreign languages. She works at Ceres Commodities Pvt Ltd Company in Thailand. She has a happy family with her Indian husband and 3 children, two daughters and a son. Her husband is a director of Ceres Commodities Pvt Ltd Company in Asia. In 2008 she competed in the Mrs. World pageant and was one of the top five contestants. 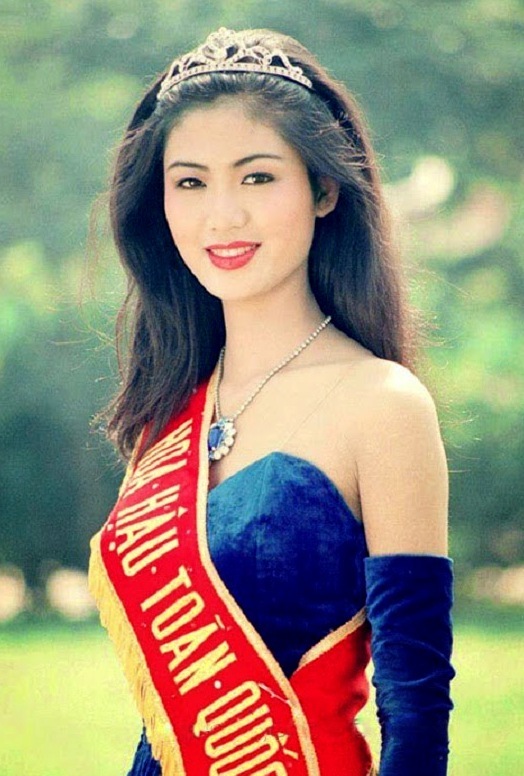 Ha Kieu Anh, born in 1977, was crowned Miss Vietnam in 1992, at the age of 16. She was one of the youngest Miss Vietnam winners. After winning the Miss Vietnam pageant, she went to South Korea and joined "Miss World University", made the top 5 and won Miss Taejon award. She also won the best shape award, the second-runner up at the Southeast Asia Model 1995 and the first runner-up at the Miss International Fashion Egypt 1998. She starred in several movies, including Luc Van Tien in 2002, Nguoi Tinh Trong Mo and De Muon. Ha Kieu Anh has an up-and-down life but now she has a happy family, with super-rich husband - a famous businessman. Thu Thuy, born in 1976 in Hanoi, was crowned 4th Miss Vietnam in 1994 when she was a first year student at the Institute for International Relations in Hanoi. She was born in an intellectual family. Her father and mother were experts at the Vietnam Language Institute. Thuy stands at 1m72 tall and was one of the favorites during that edition, she also got the best answer award in the competition. Thuy studied business administration in the US for two years and now owns a beauty salon in Hanoi. She is divorced and has two children. 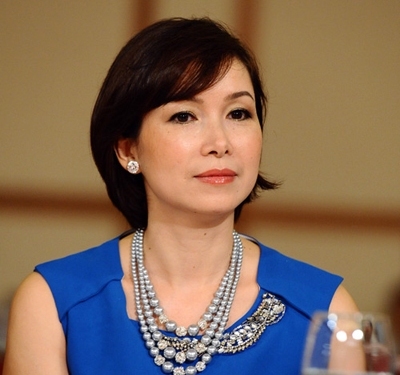 Nga, born in 1975 in Saigon, was crowned the 5th Miss Vietnam in 1996. At the time of the contest she was a second year student at Foreign Trade University in Ho Chi Minh City. She also won the best answer award in the competition. 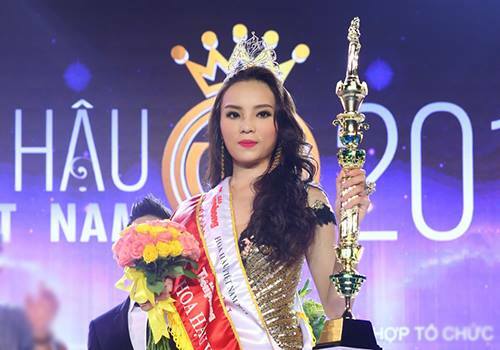 Thien Nga is the first contestant in the history of the competition to win two "Miss Vietnam" titles, the first in 1996 as official contestant and the second title in 1999. 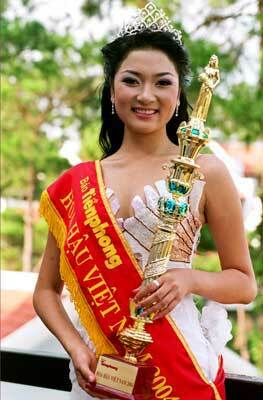 In 1999 she represented Vietnam in the "Miss Friendship of the World 1999" competition and entered the top 10. After graduating from Foreign Trade University in 2000, Thien Nga decided to study economics in the US. She is married and lives in California, USA. Ngoc Khanh, born in 1976 in Hanoi, was crowned the 6th Miss Vietnam in 1998 when she was a student at the HCM City Law University. Her father was director Do Ngoc. Her mother is Houtbois-player Le Thi Thang. Ngoc Khanh was 1st runner-up in Miss International Fashion Egypt 1999. She was married in 2004 to a lawyer and they are divorced. She was a flight attendant, a director of Tien Sa Company, an employee of Sacchi Sacchi advertising company and model. She studied in the US. 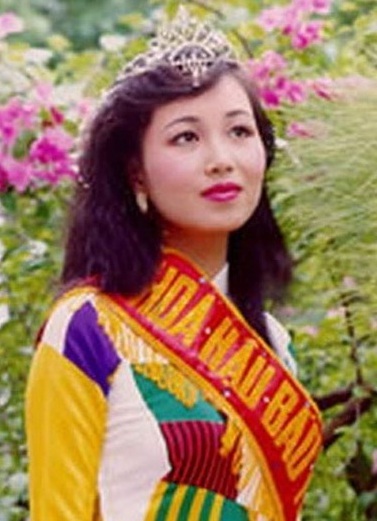 Phan Thu Ngan, born in 1980 in Dong Nai, was crowned the 7th Miss Vietnam in 2000 when she was a second year student at Van Lang University, Ho Chi Minh City. She also received the best answer award in the competition. After the Miss Vietnam 2000 beauty pageant, she married and refused to compete in Miss Universe 2001. After her husband – Mai Thanh Hai – was arrested for corruption, Ngan has been living with her two children and doing business herself. Mai Phuong, born in 1985 in Hai Phong, was crowned the 8th Miss Vietnam in 2002. She was the first Miss Vietnam to enter the Miss World competition in 2002, where she placed in the top 20. In 2003, she was accepted into the University of Luton, UK where she studied business. She was married in 2007. She has not participated in showbiz, and lives in Hai Phong with her family. 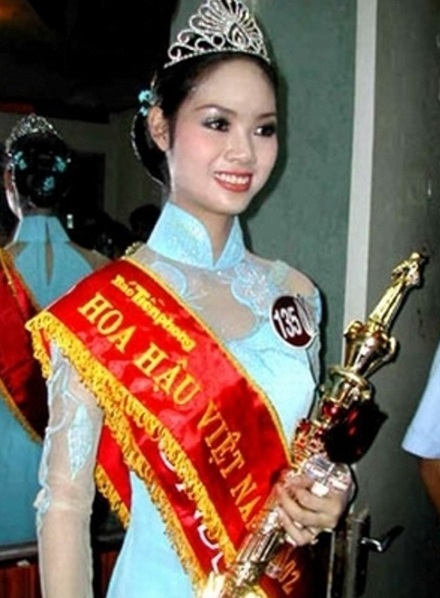 Huyen, born in 1985 in Hai Phong, was crowned the 9th Miss Vietnam in 2004 when she was a student at the Academy of Journalism and Communication in Hanoi. She also won the best skin award in this competition. She was the second Miss Vietnam to enter the Miss World competition in 2004. She was one of the 15 semi-finalists in the competition. She pursued her bachelor of arts at Middlesex University, in London, concentrating in press-branch in 2005-2009. She married in 2007 and has a daughter. Huyen and her daughter returned to Vietnam in 2009. She is divorced. Huyen worked in VTV4 - International Television of Vietnam Television Station - Vietnam Television for several years as an MC. In 2011 Huyen terminated the employment contract at VTV4 to focus on her own business. Huyen is currently a PhD student at the Academy of Journalism and Communication. She also works as a researcher at the Institute of Communications Research - Academy of Journalism and Communication. Mai Phuong Thuy, born in 1988 in Hanoi, was crowned the 10th Miss Vietnam in 2006. She represented Vietnam at the Miss World 2006 pageant in Poland. Thuy was the only East Asian contestant to join the top 17 in the final. She made the top 17 due to the highest online vote in her Asia-Pacific zone. In 2006, she was voted by globalbeauties.com into the Top 50 of the annual Miss Grand Slam. She is the tallest Miss Vietnam at 1.85m. She studied at RMIT Vietnam. Thuy still does many charity works and has also participated in a TV series "Am Tinh" in 2007. She is still a singer and attracts public attention. Thuy Dung, born in 1990 in Da Nang, was crowned as Miss Vietnam 2008. Dung was the tallest contestant (1,78m - 2008) with body measurements 86 – 61.5- 91. She is the first contestant of the central region who was crowned Miss Vietnam and is also the first Miss Vietnam who was born in the 90s. However, Thuy Dung was not allowed to represent Vietnam in Miss World 2008 due to her illegal high-school graduate certificate. Thuy Dung has been participating in many social activities and has worked as a model. Ngoc Han, born in 1989 in Hanoi, was the winner of the 2010 Miss Vietnam, when she was a student at the Hanoi College of Fine Arts. She started to model at the age of 16 and became a familiar face on the runway in Hanoi. She has won many modeling awards. She is now a model and talented designer. 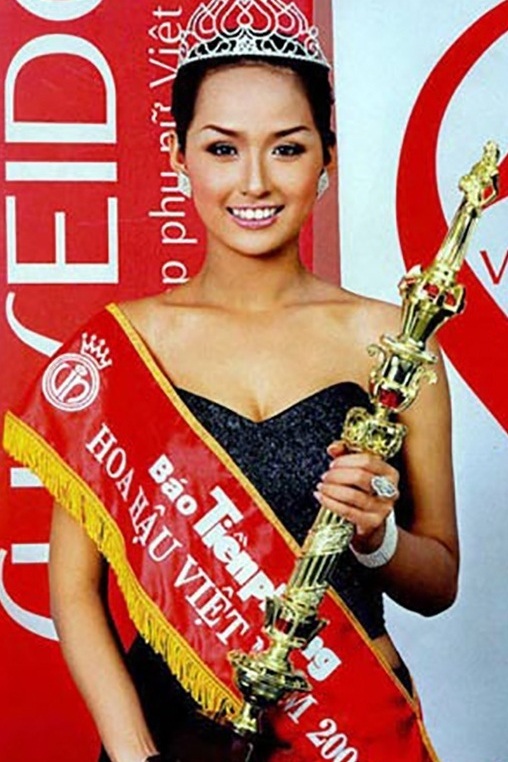 Dang Thu Thao, born in 1991 in Bac Lieu province, was crowned Miss Vietnam 2012. Thao is praised as one of the most beautiful Misses Vietnam so far. She is also complimented for her no-scandal life and her activities for the community. Thao twice refused to represent Vietnam at the Miss World pageant. 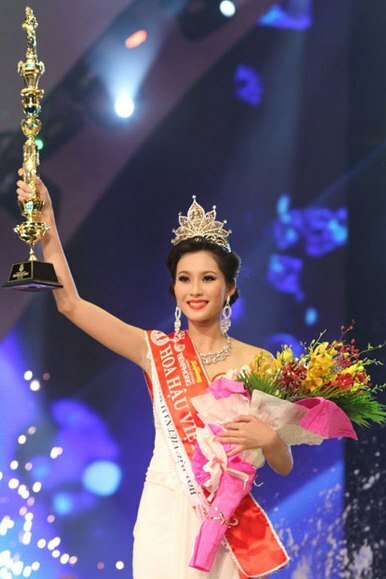 Nguyen Cao Ky Duyen was crowned Miss Vietnam 2014 last December. She is the newest Miss Vietnam. Ky Duyen was born in 1996 in Nam Dinh City. She is now a student at Hanoi Foreign Trade University.